Every year, over 24,000 people go blind from diabetic retinopathy. 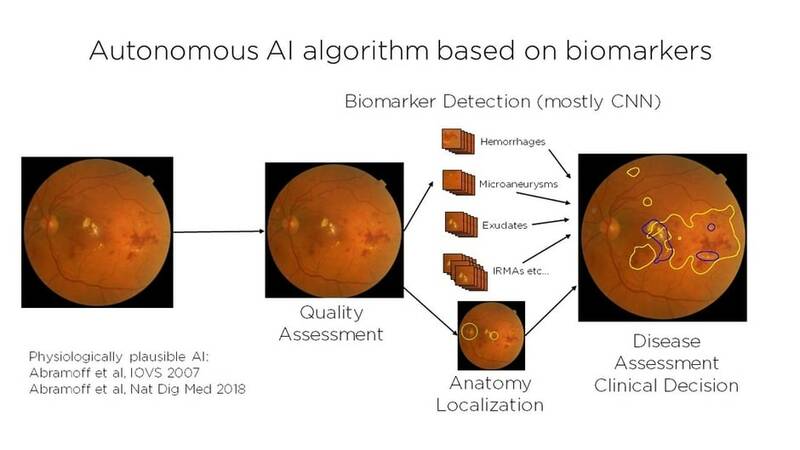 3) IDx-DR analyzes images for signs of diabetic retinopathy, providing results in less than a minute. Each image is run through a series of filters that evaluate for disease, exam protocol, and image quality. 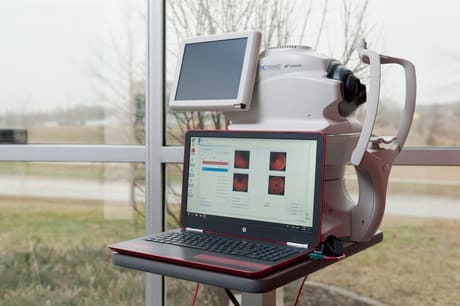 Once each image has gone through this process, IDx-DR combines the results to produce a final image quality and disease determination. 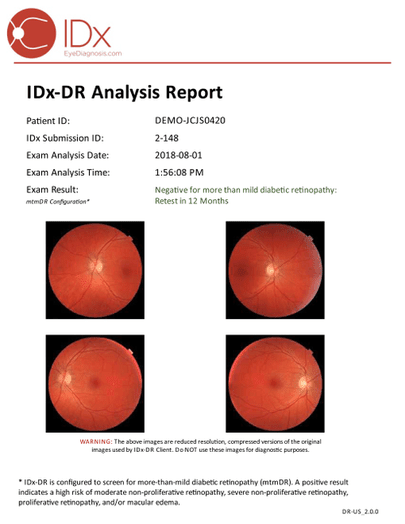 In a 2017 U.S. clinical trial involving 900 subjects with diabetes, IDx-DR demonstrated 87% sensitivity and 90% specificity at detecting more than mild diabetic retinopathy (mtmDR) in fundus images.